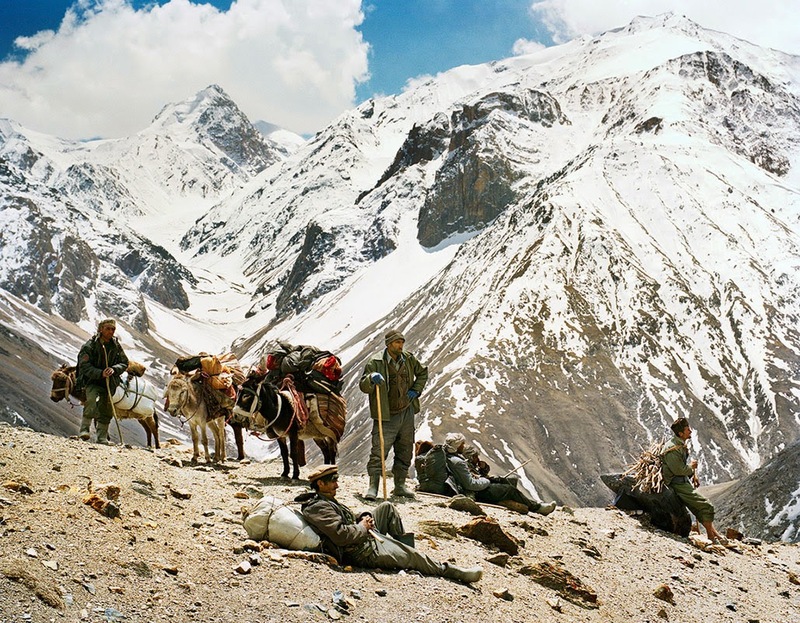 I first heard about the 'Wakhan Corrridor,' a remote region of Afghanistan, while reading the well known book, 'The Great game' by Peter Hopkirk. This region again finds mention in his other book 'Like Hidden Fire,' as the route by which a German intelligence officer, Captain Niedermayer had travelled from Kabul to Xinjiang sometime in 1916. I became quite curious about this region, which looks like a narrow handle of a saucepan on a map and wanted to find out why was it so important? This rugged region was historically of such strategic importance, because two great rivaling powers of the 19th century, Britain and Russia, which otherwise lay two thousand five hundred Kilometers apart, found themselves separated only by a few Km from each other in this region. British were extremely weary of this fact and worried that a possible invasion of India by Russia could take place through this region. In the closing years of the 19th century, a narrow corridor of land was forcefully given to Afghanistan, to create a neutral buffer zone. 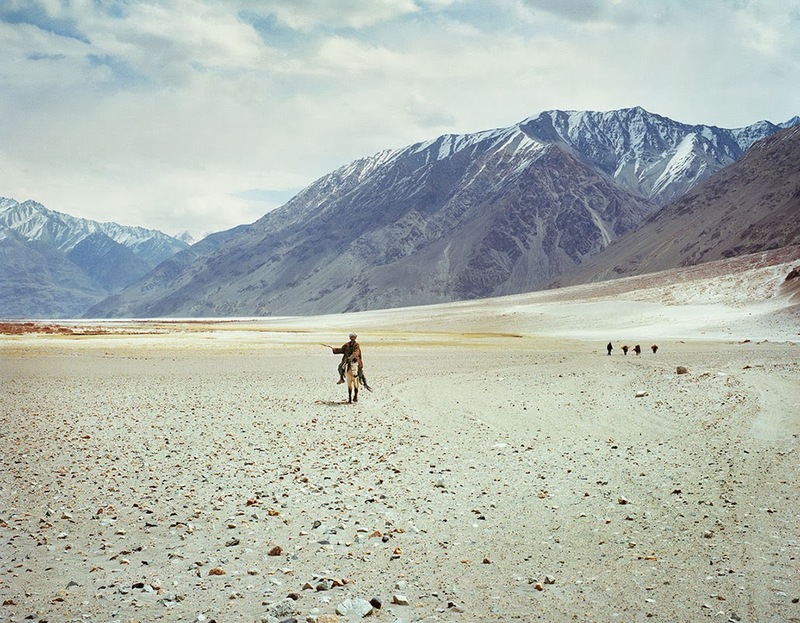 In some places, the Wakhan Corridor is less than 10 miles wide – the closest that Britain and Russia had come to meeting in Central Asia. Wikipedia describes Wakhan as an area of far north-eastern Afghanistan that forms a land link, or "corridor", between Afghanistan and China. The corridor is a long and slender panhandle or salient, roughly 220 km long and between 16 and 64 km wide. Part of Afghanistan's Badakhshan Province, Wakhan Corridor separates Gorno-Badakhshan Autonomous Province of Tajikistan in the north from Khyber Pakhtunkhwa of Pakistan and Gilgit Baltistan, an area belonging to India but currently controlled by Pakistan, in the south. 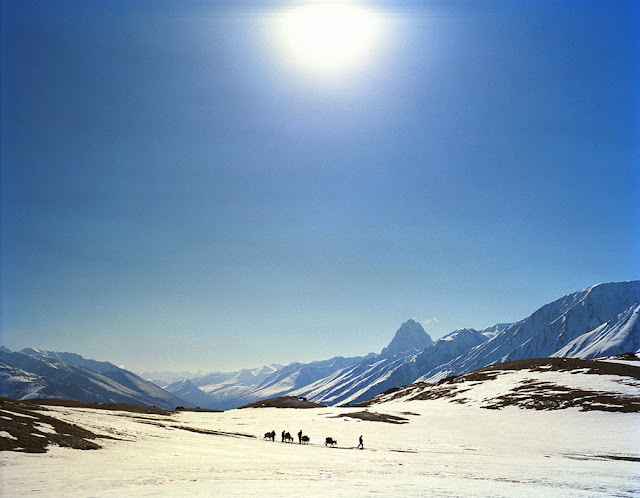 "When the traveler leaves Badakhshan, he goes twelve days' journey east-north-east up a river valley belonging to the brother of the lord of Badakhshan, where there are towns and homesteads in plenty, peopled by a warlike race of Moslems. After these twelve days he reaches a country called Wakhan of no great size, for it is three days' journey across in every way. The people, who are Moslems, speak a language of their own and are doughty warriors. They have no ruler except one, whom they call 'nona', that is 'count' in our language, and are subject to the lord of Badakhshan. They have wild beasts in plenty and game of all sorts for the chase. When the traveler leaves this place, he goes three days' journey towards the north-east, through mountains all the time, climbing so high that this is said to be the highest place in the world. And when he is in this high place, he finds a plain between the mountains, with a lake from which flows a very fine river. Here is the best pasturage in the world; for a lean beast grows fat in ten days. Wild game of every sort abounds. There are great quantities of wild sheep of huge size. Their horns grow to as much as six palms in length and are never less than three or four. From these horns the shepherds make bowls from which they feed, and also fences to keep in their flocks. There are also innumerable wolves, which devour many of the wild rams. The horns and bones of the sheep are found in such numbers that men build cairns of them beside the tracks to serve as landmarks to travelers in the snowy season." Surprisingly not much has changed in Wakhan, even after more than 700 years have passed since these observations were made by the famous Venetian merchant adventurer. His description could still act as a passable guide to the Wakhan and Pamir of today. The Wakhan Corridor, and in particular its eastern end in the Pamir Knot, has always been one of the most remote and least accessible corners of Afghanistan. The Pamir River, flowing out of Lake Zorkul, forms the northern border of the corridor. The Wakhan River passes through the corridor from the east to Kala-i-Panj, joining the Pamir River to become the Panj River. In the south, the corridor is bounded by the high mountains of the Hindu Kush and Karakoram, crossed by the Broghol pass, the Irshad Pass and the disused Dilisang Pass to India. At the eastern border, the Wakhjir Pass through the Hindu Kush is one of the highest in the world at,16,152 ft. 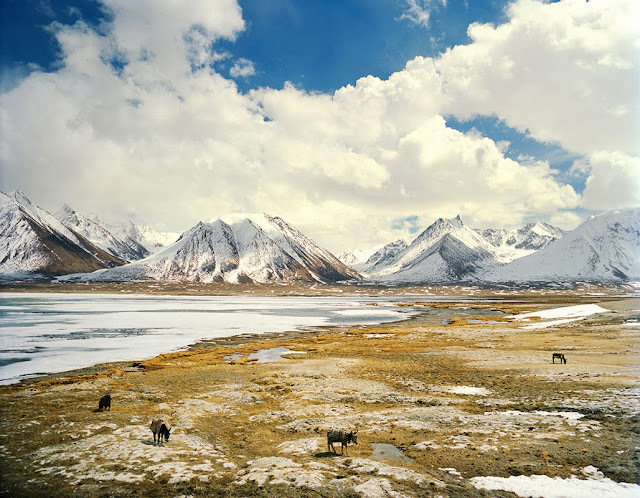 It is one thing to be curious about Wakhan Corridor but finding more information about it is almost an impossible task, because of its remoteness and generally inaccessible conditions. 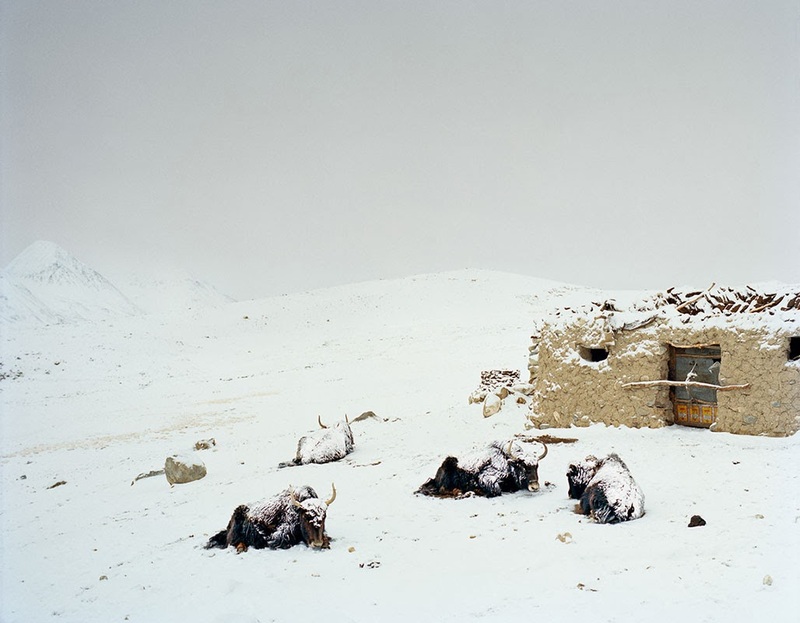 I however accidentally came across the blog of Frédéric Lagrange, a photographer par excellence. He is a professional who has launched his career in 2001, after working with fashion photographer Nathaniel Goldberg. Early on Frédéric focused mainly on travel photography, but since, he has broadened his scope of work to include fashion and portraiture. 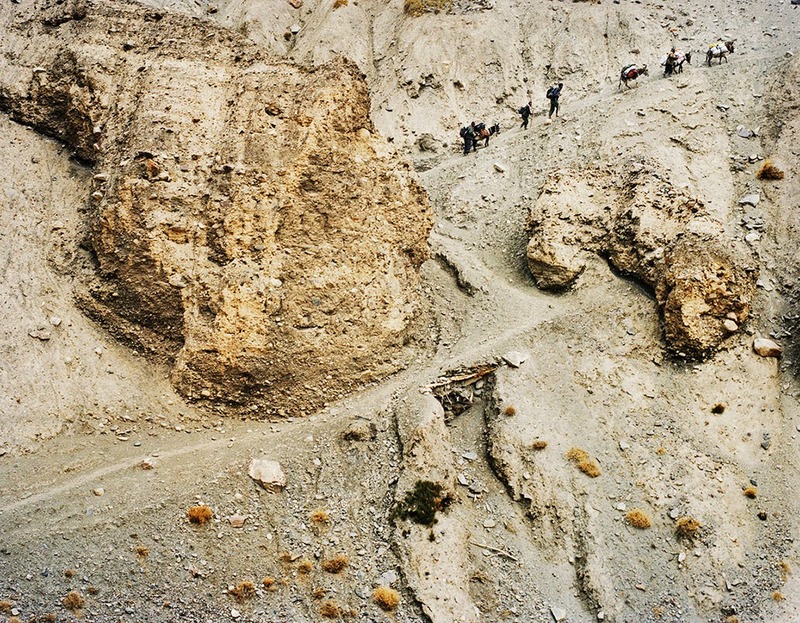 “AFTER the many years of awaiting this trip to Afghanistan, I was determined to complete the task I had come here to do: which was to finally walk in the steps of the ancient pilgrims and silk road traders, to stare at landscapes that only few human beings have had the chance to see, and to meet and live among people whose lifestyle had changed very little over the centuries. I felt the nostalgia of a past and long gone era and the relief to see, in today’s world, pristine and natural beauty, intact still. I had heard on many accounts of the incredible Shangri-La-like beauty of this part of the Hindu Kush. I could see this beauty and feel it in my heart today. The ideas and clichés that had been fueled by the media for the last 10 years were wrong, at least for this part of Afghanistan. Even though inhabiting some of the toughest environments on Earth, the Wakhi people turned out to be some of the most hospitable hosts and skilled guides I have ever met. Their hard – but simple – way of life gave me a lasting lesson about appreciation”. 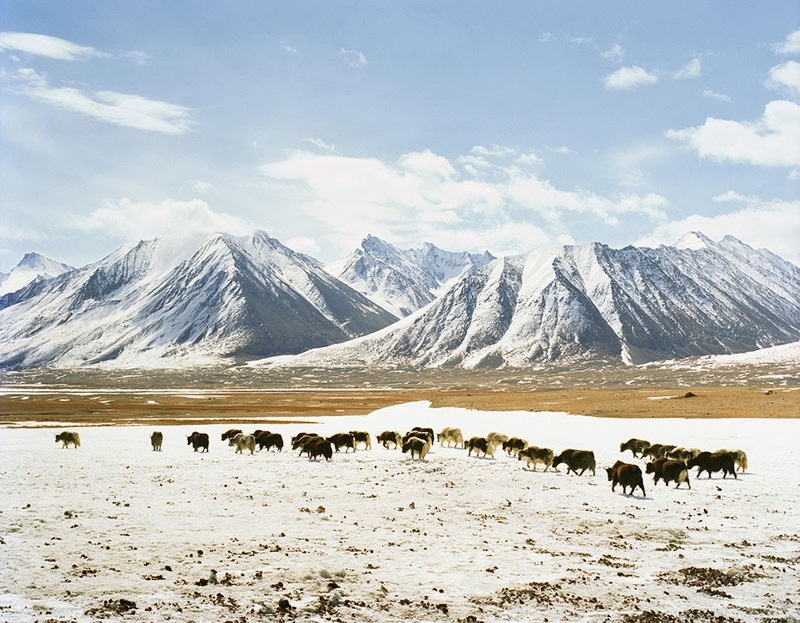 He has also managed to take some of the most exquisite photographs of the Wakhan that are simply breathtaking. I am happy to present to my readers his photographs here with his special permission. AQSAI, LITTLE PAMIR. Yaks covered with snow early in the morning after a cold night. BORAK. the expedition negotiating a narrow path. I’ve always been drawn to the rug landscape of Central Asia and its incredible rough beauty. Throughout the entire expedition, I constantly had to keep an eye on interesting vantage points, walking ahead of the group or staying behind. This image is a very good representation of the terrain and conditions through which we trekked for two weeks. LAKE CHAQMAQTIN, LITTLE PAMIR. Yaks around Lake Chaqmaqtin. DALIZ PASS. The porters taking a few minutes rest after ascending a particularly steep climb. Even though these mountains are the surrounding for their everyday life, Wakhi and Kyrgyz are still very sensitive to their beauty and talk about them with awe and passion. KANDUD. Wakhi herder riding his donkey in what could be a moon-like landscape. LITTLE PAMIR. 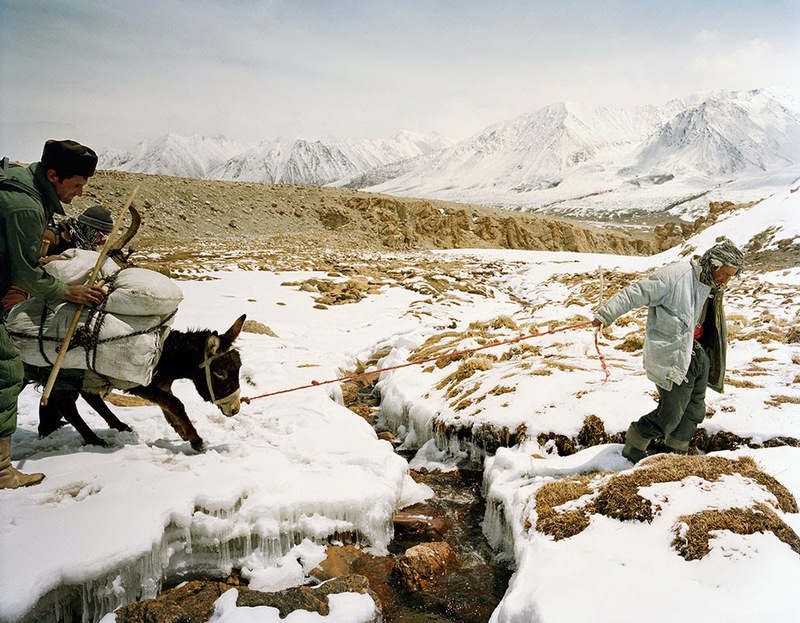 Three men were needed to push and help donkeys each time we crossed water streams and rivers. LAKE CHAQMAQTIN, LITTLE PAMIR. Each time we stopped for rest, porters would unload the donkeys. They remained unleashed, free to wander for the duration of our break. It always took the porters half an hour to find them, in that immense space, and bring them back to be loaded again. DALIZ PASS. We had just ascended the Pass. At an altitude of 14,400ft, the view of the rest of the Hindu Kush was mesmerizing. Those of you, who want to see Frédéric Lagrange's website can go to http://fredericlagrange.com/site_v2/ and see his other photographic masterpieces too. Thank you very much for forwarding me the link to your blog. I learnt a lot, thanks to you.